More than a hundred, quick easy recipes that make healthy eating delicious. Each recipe has a gorgeous full color photo. 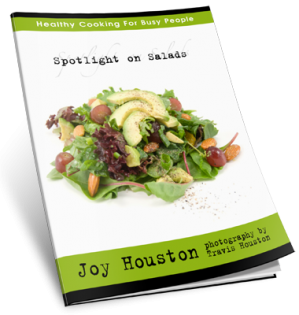 The introduction includes the Delicious Manifesto, an easy guide to ensure optimal health without giving up your favorite foods. It also includes a Healthy Pantry Guide that gives you the skinny on what to stock in your kitchen to stay skinny. 25 healthy breakfast recipes, 20 tapas, starters and small plates, 17 mouthwatering salad recipes, 23 main event entrees, and over 20 delicious drinks and desserts. Give your body two weeks of live foods, with this detoxifying diet. 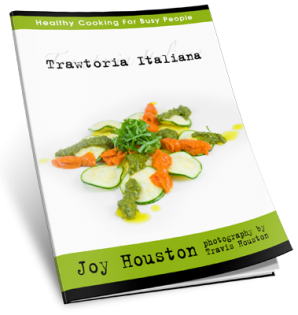 This on line course hosted by chef Joy Houston offers massive education on the science of raw food nutrition, teaches you how to support your body’s immune system and to support detoxification naturally so the process is enjoyable instead of a struggle. It walks you through preparing your self and your kitchen for the cleanse. Best of all it includes cooking classes for all food preparation, there are videos for every meal on the diet. Plus there is massive a bonus section that includes all of the Taste Tester Books listed below plus the Body Battle Plan Workbook and more. TASTES TESTERS little taste for a little price in these Taste Tester e-Books. This is more than a collection of delicious ways to eat greens. The book starts by teaching you the science behind any good dressing and includes a chart for combining all the necessary elements and a table with spice combinations for a wide range of ethnic variations. It also includes recipes for Sweet Ginger Lime Dressing, Maple Curry Spinach Salad, Honey Mustard with Fresh Dill and Greens, and a manly BBQ Salad. 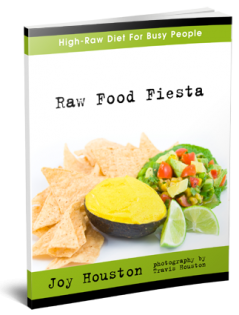 If you are a fan of Latin flavors, you will love this full color raw cuisine menu plan that includes; Horchata, Rawgaritas, Tortilla Soup, Creamy Cilantro Dressing, Corn Tortilla Chips, Three Salsa Recipes, Not-Cho Cheese, Taco Neat, and Mexican Hot Chocolate Pudding. All recipes are vegetarian, vegan, raw and even gluten free! Start with delicious Gazpacho, then enjoy Margarita Pizza (complete with the BEST raw food recipe for pizza crust EVER), Garlic Cheese, Bruchetta. You’ll aslo learn three ways to make raw pasta; pasta with Neatballs, Pasta in Creamy Pesto, and Pasta Al Fresco. But that’s not all. You learn impressive Rawvioli topped with Red Pepper Marinara. There are two desserts in this menu plan too, Spumoni Gelato and Turamisu. All items featured on this menu plan are vegetarian, vegan, raw and gluten free. Got a sweet tooth?? Have kids who you’d like to get off processed sugars and onto naturally sweetened treats? This is the book for you. Raw Food Desserts is a great introduction to the world of raw cuisine. It shows you how delicious it is to switch dairy creams & fats for healthier alternatives with superior taste. 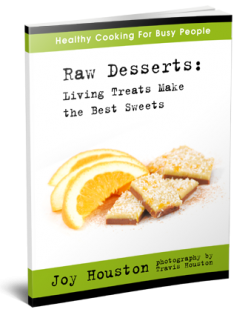 This book will teach you to make; Lemon Bars, Cacao Pudding, Decadent Caramel, Mint Cacao Brownies, Caramel Coconut Brownies, the basics of raw I-Scream, Mint Cacao Almond Bark, and Orange Cream Cacoa Bark. I love to eat and I love to read, so reading about eating is the Superbowl of my downtime. Some are recipe books, some are food theory and education. Note that not all of these publications involve the killing of trees to make physical books. Some are e-books and some are on-line courses. Don’t let that stop you – on the contrary, let it inspire you- to read these books. All the selections included uplift the reader and empower them to lead a healthy, connected life. Thank you to the authors and chefs behind these works that have changed my life. 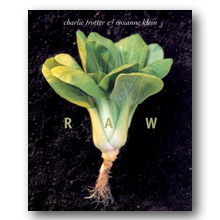 I have a love hate relationship with this book because it both turned me on and off to raw foods. I bought it for the photos, fell in love with the writing by Roxanne and with the glamorous plating a presentation of wine parings with a wise and entertaining sommelier. The recipes and ingredients scared me off for a year or two but eventually I cam running back to this inspiring book and let it push my abilities to new heights. 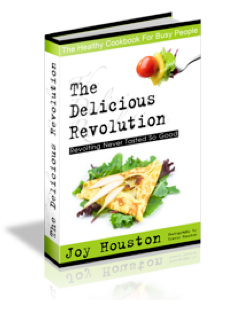 The techniques I learned in this book were a revolution that changed the way I eat forever. This is another book that changed my life and not just with the alkalizing lifestyle it teaches. It changed my career and the direction of my life. 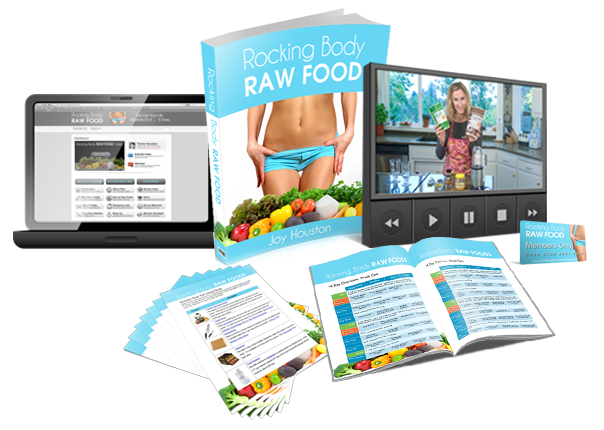 At Dr. Youngs lectures I met Chad Sarno, who launched me on a quest to master the art of raw food, to create this website and the Rocking Body Raw Food program. 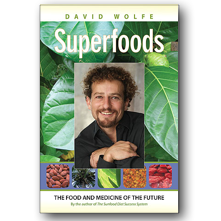 The simple truths presented this scientific, yet easy to read book make healthy living so easy. The challenge of applying the principles Dr. Young teaches is tackled by his lovely wife, Shelly Redford Young who provides recipes that make eating an alkalizing diet do-able. This book is less than $10 on Amazon and is PRICELESS in what it can do for your health. 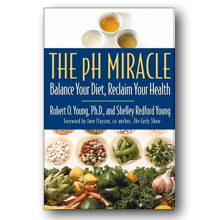 If you have been diagnosed with diabetes be sure to read The pH Miracle for Diabetes! It could very well change your life and get you off meds for good. If you are not inspired by a man who loses 215 pounds with the power of raw foods, check your pulse! Philip is a raw food hero who is spreading the word about the power of raw food to change lives. I love this book because I am a HUGE fan of juicing and this book teaches it so well. His elixirs welcome in vitality and celebrate taste. 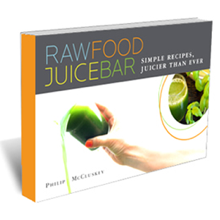 This book is $15.97 and he also has offers a 3 pack of books for $45.97 that includes this juice book plus Raw Food Fast Food and The Raw Food Salad Bar.